Bake to End Hunger: An Event to Remember! To all the sponsors, donors, vendors, volunteers, and guests-we are so grateful for your contributions to make Bake to End Hunger 2018 a success! Together, we raised more than $9,000 for our work to end hunger in Oregon. Because of your support, we are able to connect families with food & nutrition programs and advocate for change to create a more equitable system for families. Thank you to all of our sponsors especially for your generous investments in this event and our work. And our partner Elephant’s Delicatessen! We couldn’t have it done it without your support. 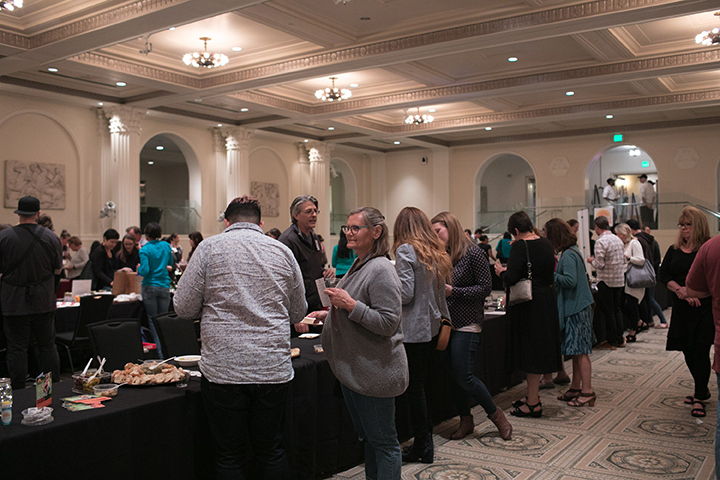 More than 20 vendors generously share scrumptious sweet and savory treats with all of our guests. Thank you so much to all of our vendors! More than 100 people purchased tickets to sample all the delicacies and libations. Thank you for coming out to the event! We’re already thinking about ways to make next year even bigger and better! Interested in being on the planning committee? Email [email protected] to get on the list! Want to see all of this year’s photos and maybe tag yourself in them? Visit our Facebook album to see the event.